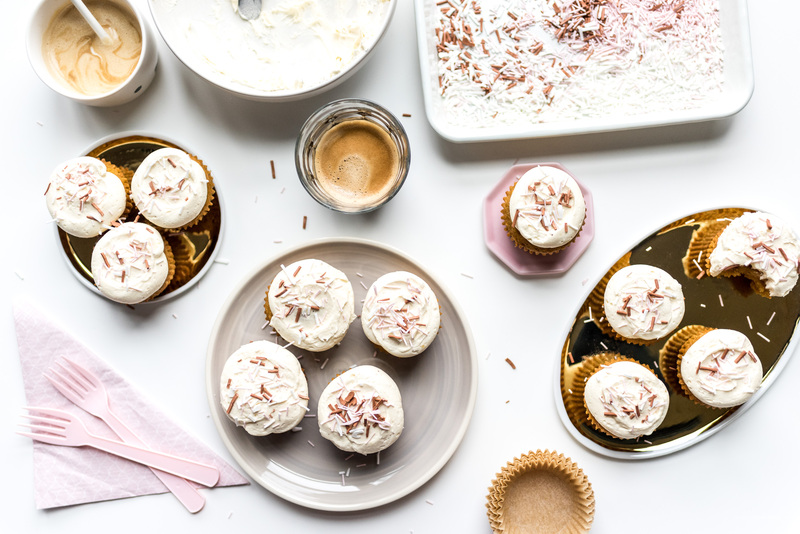 Recipes → easy → One Bowl Pumpkin Cupcakes with Brown Butter Frosting Recipe + A KitchenAid Giveaway! 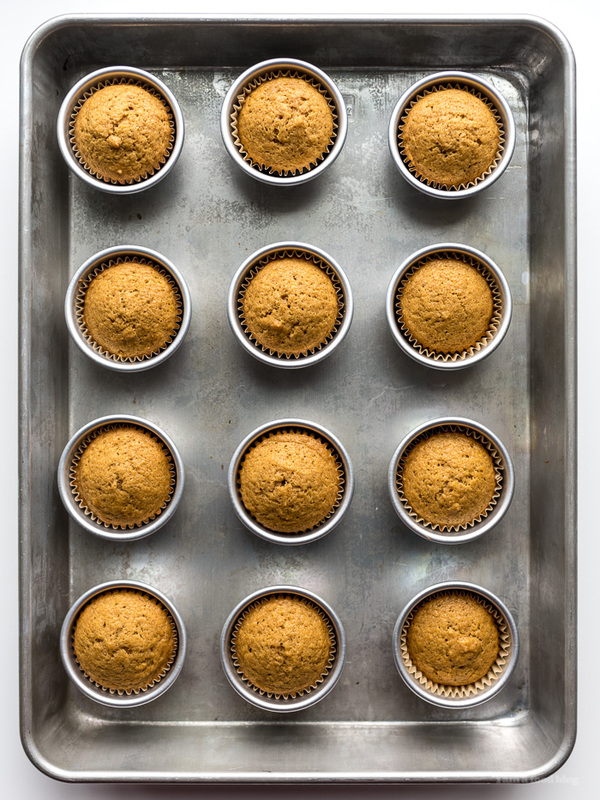 Quick and easy one bowl pumpkin cupcakes, perfect for getting on those fall feels! 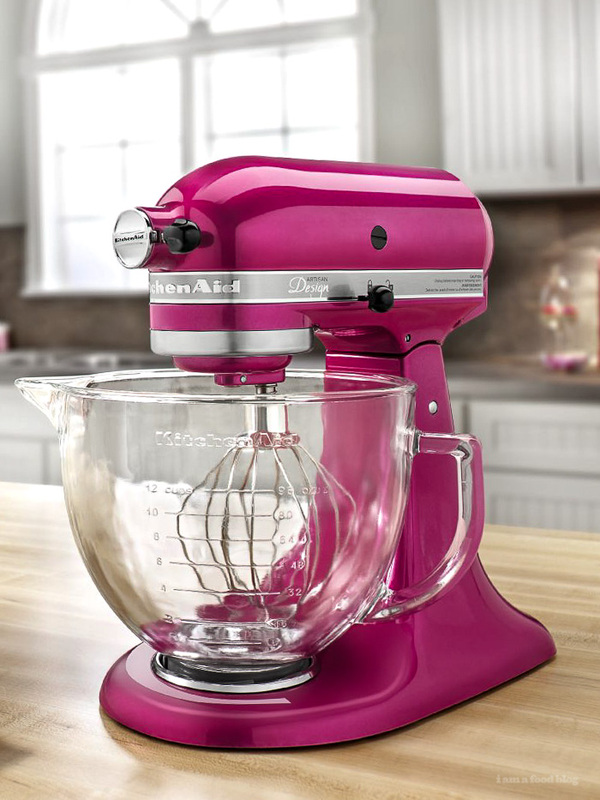 Plus, a KitchenAid giveaway! Happy October! September flew by in a flash, but I don’t care because I am ready for everything autumn and ALL the pumpkin and pumpkin spice things. Pumpkin spice is life and the spice must flow (heehee geeky Dune reference). 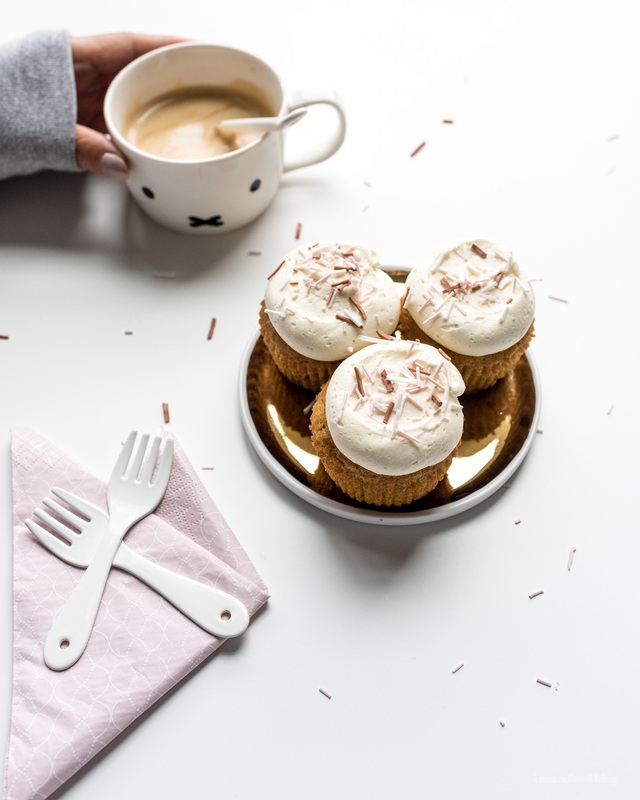 There’s pumpkin and pumpkin spice in these cupcakes so they’re perfect for saying hello to October. Technically it’s only the second day of October, but already I feel like it’s going to be a good one. The weather has been cooperating with sunshine and fluffy clouds, and Mike and I spent most of our weekend baking, cooking, eating, and wandering around looking at fall leaves. It’s the little things that bring me the most joy, things like these cupcakes! 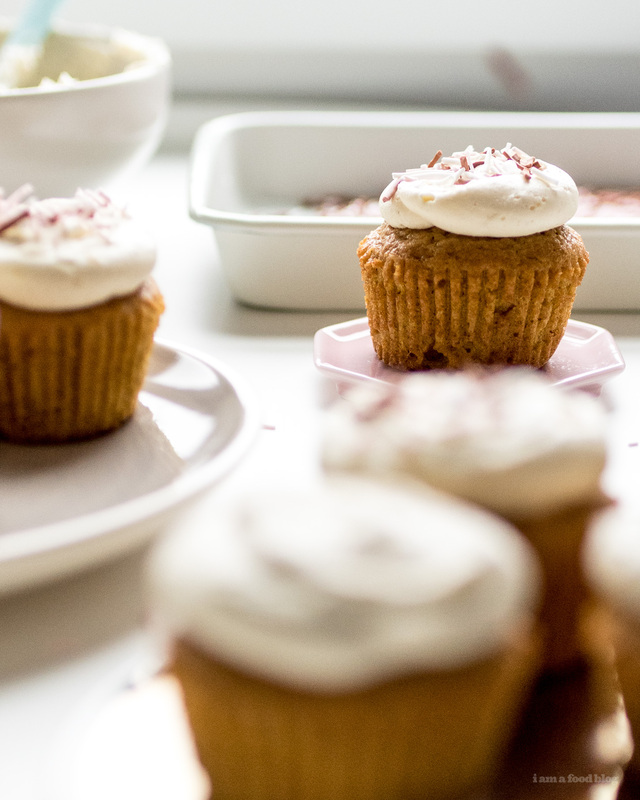 They’re moist, pumpkin-y and topped with the most amazing brown butter frosting. 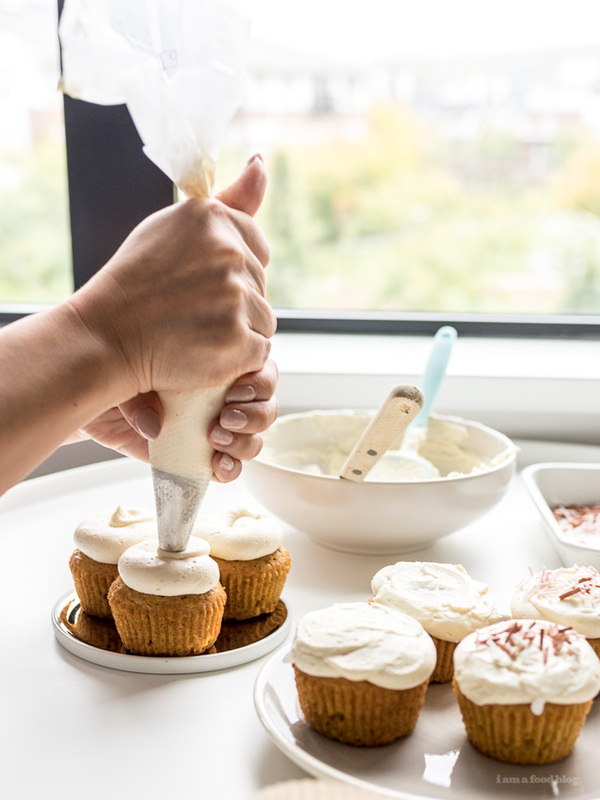 The combination of pumpkin cake and brown butter frosting is seriously so good: just the right amount of pumpkin and not-too sweet cloud-like plush buttercream. How’s your October so far? Hopefully it’s going well! CLOSED! One last thing! It’s a KitchenAid Artisan 5 Quart GIVEAWAY! The giveaway is happening on Instagram, so please hop on over to read the rules and enter. 1. Follow @iamafoodblog + leave a comment on the post saying you entered. Giveaway is open between October 2, 2017 and October 8, 2017. Winner will be announced October 11, 2017. US residents only. Good luck! 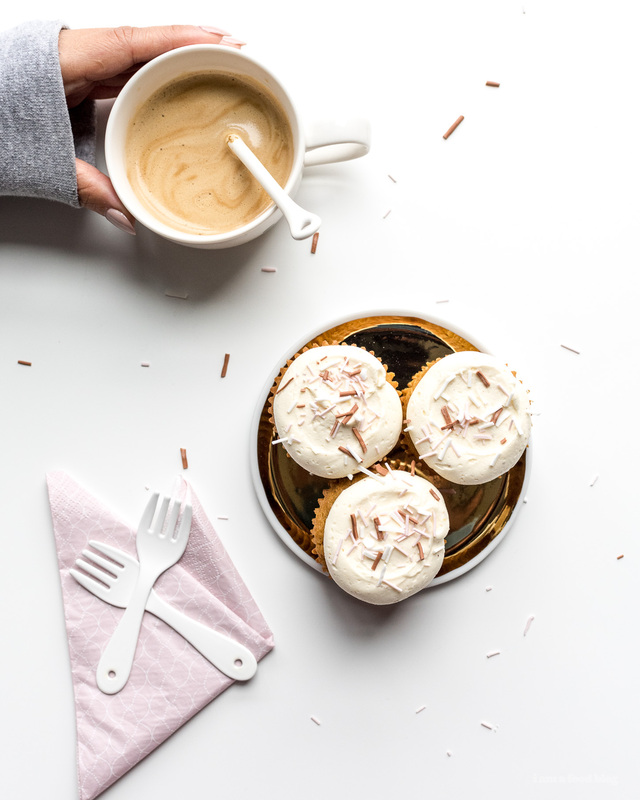 For a bonus entry (you main entry needs to be on Instagram), please comment below with your Instagram handle and what your favorite cupcake is! Notes: You can make your own pumpkin pie spice by using 3/4 teaspoons cinnamon, 1/8 teaspoon nutmeg, 1/8 teaspoon ginger, and a dash of cloves! For the 1/2 an egg, whisk a whole egg in a small bowl, then measure out 1.5 tablespoons (if you don’t have a 1.5 tablespoon measure, it’s 1 tablespoon plus 1.5 teaspoons). Preheat the oven to 350°F. Line your baking cups with liners. Whisk together the flour, sugar, baking power, pumpkin pie spice, baking soda, and salt. Set aside. 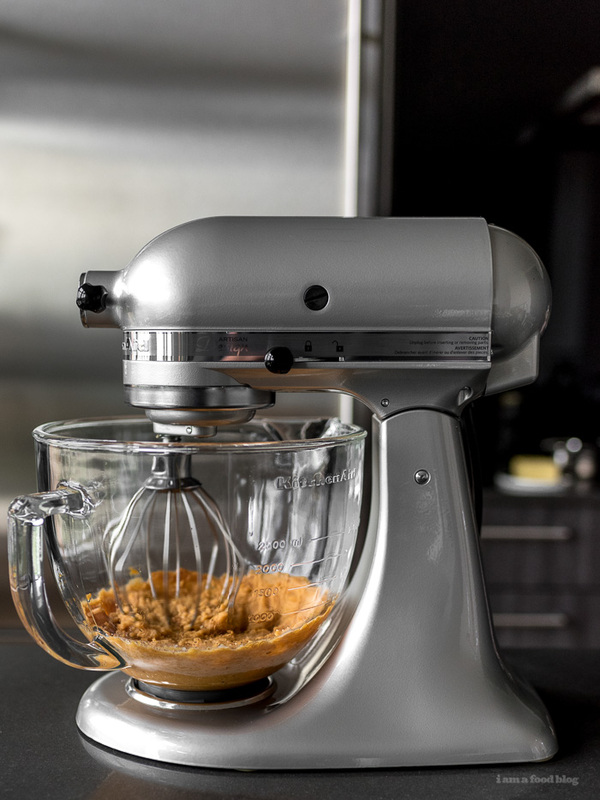 In the bowl of a stand mixer, whisk together the eggs, oil, and pumpkin until smooth. Add the dry ingredients and mix until just combined. Pour into the prepared tins, about 3/4 full. Bake for 20-25 minutes or until a skewer in the middle comes out clean. Cool in the tins for 10 minutes, then remove and cool completely. 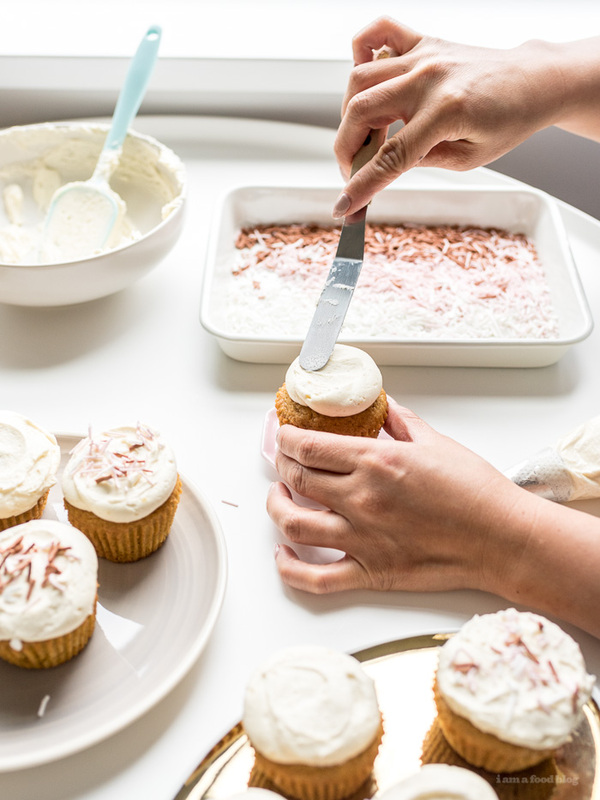 Make the frosting: Start off by browning 1/4 cup of butter. Cube the butter and add to a small saucepan. Melt over medium heat. After it’s completely melted, the butter will start to foam and bubble. Cook, swirling, until light brown specks start to form. Stir and cook until it starts to smell nutty and turns brown. Remove from the pan and stir to cool. Transfer to a small bowl and place in the freezer for 5 minutes – we’re aiming for the texture of room temperature butter. When it firms up, add to the bowl of a stand mixer, along with the 1/2 cup of room temperature butter. Whip the butter for a minute, then sift in the powdered sugar, vanilla, salt, and milk. Beat for 3 minutes. Frost the cupcakes and top with toppings of choice! 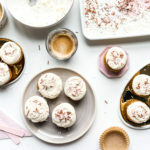 @rebeccaaynsley I love the Barefoot Contessa’s coconut cupcakes with cream cheese icing *drool! My handle is @carabaradesigns and I love a filled cupcake – currently coconut cupcakes filled with lime curd, yum! Oooh, exciting giveaway and SO excited for pumpkin and fall and pumpkin cake yay!! Favorite cupcake = chocolate with vanilla buttercream. Today, anyway. the instagram i entered with is @butterstickblog! hi kelsey! i love sarah’s chocolate cake in cupcake form too!! so GOOD. FALLing in love with pumpkin has never been so easy! Thanks for posting the recipe! Ahh! 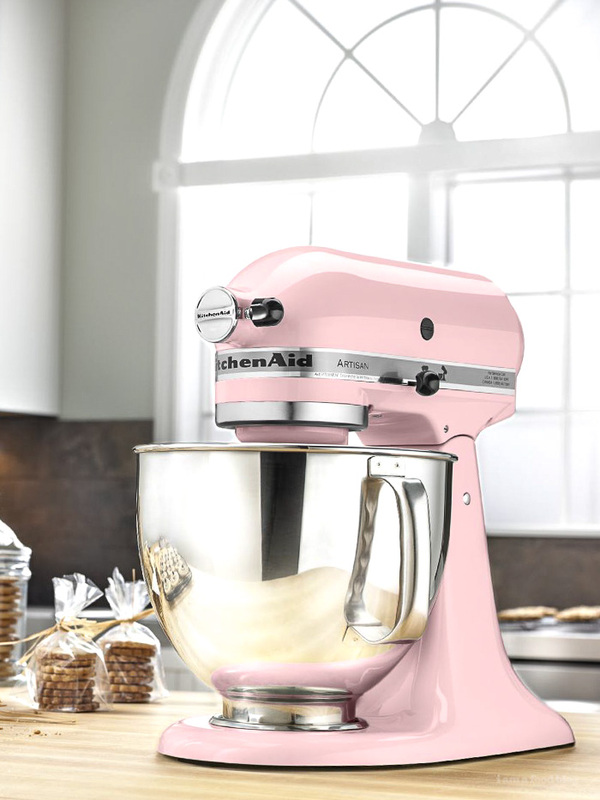 I now need a beautiful pastel pink Kitchen Aid in my life. My favorite cupcake is cardamom with chocolate buttercream! It’s so unique and the cardamom cuts down the sweetness a little bit. About to share them on @danasedibleaffair. My instagram handle is @thehippiehut32 and I love banana split cupcakes. My great grandma’s recipe. It’s basically a chocolate cake with mashed up banana in the batter. So good! These might be my favorite cupcakes! Shared my cupcake @dhonikel. Thanks! My IG handle is @winney04 , and I love chocolate cupcakes!